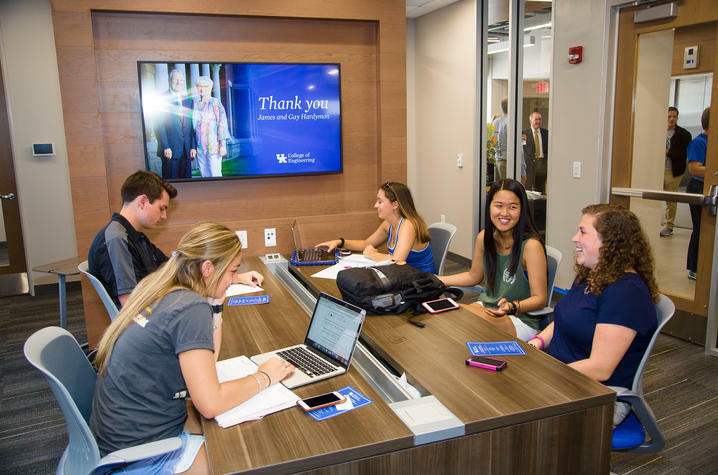 LEXINGTON, Ky. (Aug. 29, 2017) — On Aug. 25, the University of Kentucky College of Engineering changed the way students learn through the opening of a new student resource, the James and Gay Hardymon Center for Student Success. 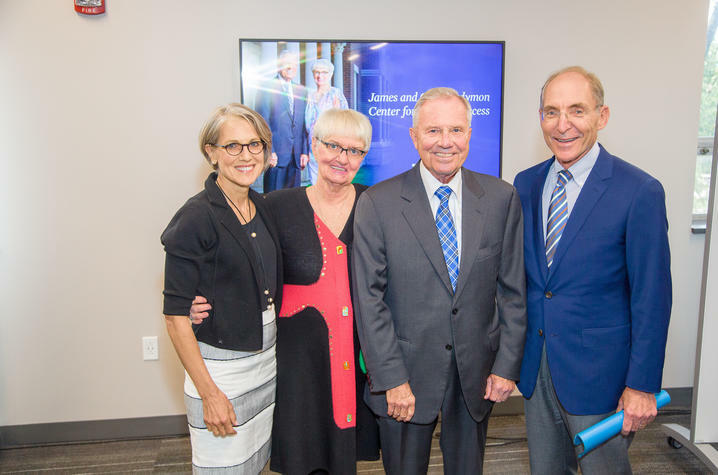 James Hardymon received his bachelor's (1956) and master's (1958) degrees in civil engineering from UK. He served as chairman and chief executive officer of Textron Inc., from 1993 to 1998 and retired in 1999. Prior to joining Textron, he moved through the ranks at Emerson Electric Company, eventually becoming chief operating officer and president of the firm. He was inducted into the College of Engineering Hall of Distinction in 1995 and UK’s Hall of Distinguished Alumni in 2000. He received an Honorary Doctor of Letters from UK in 2000.